Craft Fairs can be a bit hit and miss when it comes to making money. I have done one where I just about covered my £5 table fee and then another one where I made over £200 in one day. But they can be useful for your business in ways other than making money. 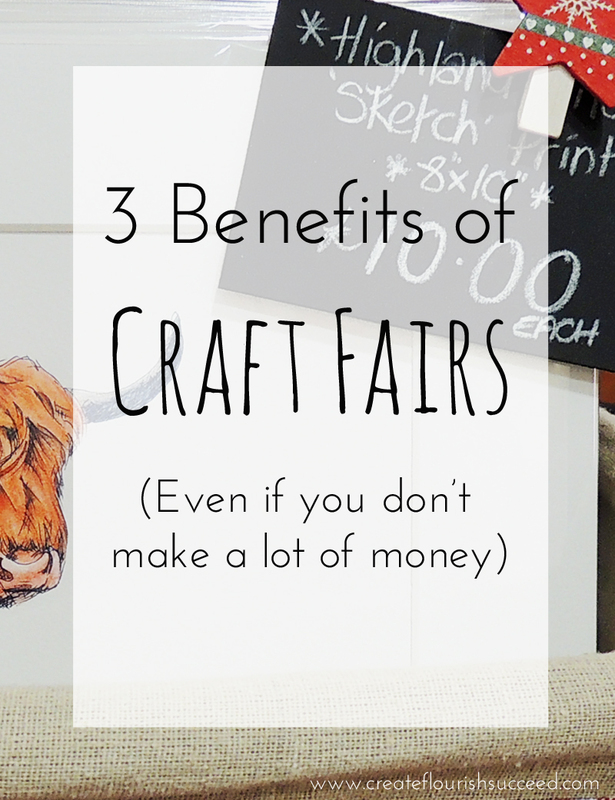 Here are three benefits of attending a craft fair even if you don’t make a lot of money. I had a very interesting conversation at one craft fair I attended with a lady who had bought one of my original drawings a couple of years previously. She told me she had seen it at an art show but didn’t have the funds at the time to buy it, and was delighted when she saw it again at a different exhibition and purchased it then. This was an eye opener for me and made me realise we are making an impact even when we don’t see tangible results straight away. People cannot always purchase from you the first time they see your work but if they really like it, they will remember you and look out for you again, either at another fair or find you online. Having business cards easily accessible on your table is great for future customers to take away with them. Make sure to include your website, blog and social media addresses so they can keep in touch. 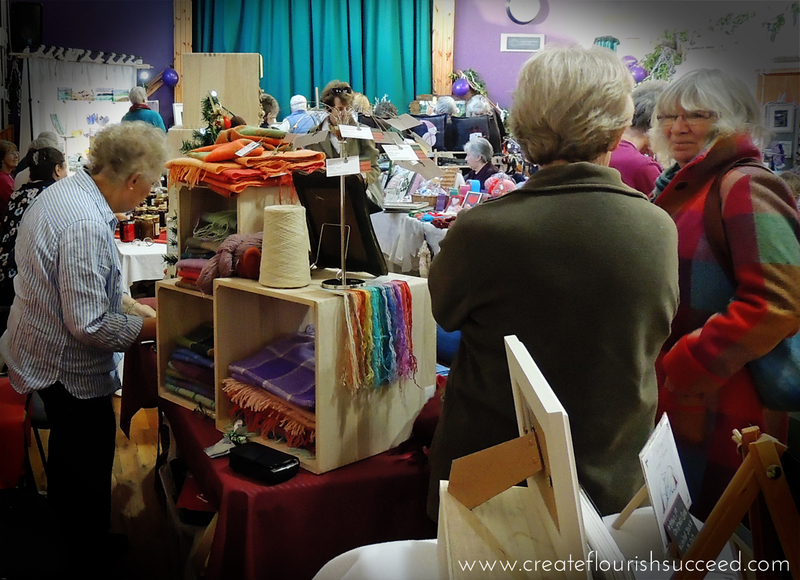 Use Craft Fairs to chat to customers and get valuable feedback for your business. When you sell online you rarely get in depth feedback. If you do its generally in the form of a few lines in a review and while it can be helpful it’s not the same as being able to have a face to face conversation. By chatting to the people who look at your table you can find out what they’re looking for and if you don’t have it, maybe you should? I normally end up with a little list of art subjects that people ask me about at craft fairs to include in my next paintings. Do you spend your whole time answering the same questions? Perhaps you should include the answers in your table signage or literature for people to take away. Sometimes it’s as useful to find out why people don’t buy as much as why they do. It’s also just very nice to have people tell you how talented and clever you are! It is a excellent confidence and enthusiasm boost. It’s good to talk, especially when most artists and crafters are self employed and work on their own. It’s great to get out and chat to other creative people. Most are very friendly and happy to give advice. You can find out about other events in your area, which ones are worth attending and which ones to avoid! You can pick up useful tips and tricks for displaying your work. I was admiring another stall holder’s display boxes at a fair I attended and she kindly gave me the details of where she’d got them from. It’s also great to just have a chat. If you do local fairs you will see some of the same faces at the different ones you go to and form good friendships. Do you attend art or craft fairs? What benefits do you take from the experience?